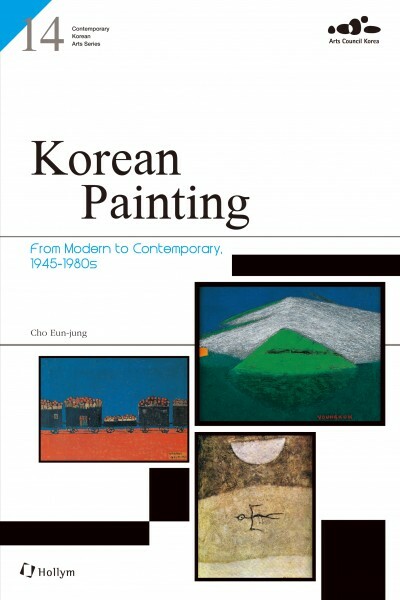 Produktinformationen "Korean Painting: From Modern to Contemporary, 1945-1980s"
Korean Painting: From Modern to Contemporary, 1945-1980s is intended for the use of those who are curious about the modern history of Korean art, especially in the field of the painting. Compared to earlier art book series which focused on specific topic like diaspora-artist, women artists, abstract painting, the newly released book shows the history of modern and contemporary Korean painting through its selected introductions of artists and their paintings from 1945 to 1980s. The book also contains developing stages, historical contexts, important artists, and movements of Korean art history. Since beginning of the 20th century, Korean society was a state of confusion and disorganized change: Japanese occupation of Korea, the U.S. and Soviet Union’ military rule, the Korean War, and division of territory. This book contains the individual and group movements and experiments of the period in Korean art world which is closely connected with these political situations. In the first and second chapters, it is presented one by one: problem of cultural identity under the Japanese colonial era, art groups of the liberation period, neo-realists group, and art activities during the Korean War. In the third and fourth chapters, it is introduced that the development of art college and National Art Exhibition, and pluralistic movements after the Korean War. The fifth and sixth chapters contain 1970s’ conceptual art and monochrome painting, and 1980s’ Minjung art and realism art. The last chapter deals with the terms of modernism. The book will encourage readers to take an interest to the ceaseless struggles of Korean painters and to understand the many causes of the actions behind various conflicts between generations, schools, and tendencies. This book will continue to help the world public’s understanding and interest in modern art by introducing not only the modern art of Korea but that of foreign countries. Weiterführende Links zu "Korean Painting: From Modern to Contemporary, 1945-1980s"
Unser Kommentar zu "Korean Painting: From Modern to Contemporary, 1945-1980s"
Kundenbewertungen für "Korean Painting: From Modern to Contemporary, 1945-1980s"